The largest pitches around up to 180 m2 ! 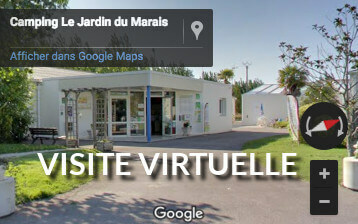 The Domaine Le Jardin du Marais is a 4 stars sustainable and family campsite located in Le Perrier, in the North-West of Vendée. Taking place over more than 4 hectares, the campsite is only 5 minutes away driving from Saint-Jean-de-Monts, a well-known seaside resort of the region. Between land and sea, you will relax in the heart of the Breton-Vendean marsh while enjoying the proximity with the coast as well as the most beautiful local touristic sights. 7 kilometers away from the beaches of Saint-Jean-de-Monts, Fabienne, Francis and their staff warmly welcome you into a familial and relaxed atmosphere. Discover Saint-Gilles-Croix-de-Vie and its lovely fishing port, Challans and its traditional market, Noirmoutier and Yeu islands, hikers’ paradises. 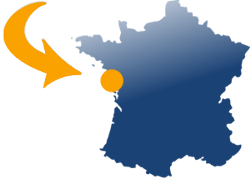 The campsite is also close to Le Puy-du-Fou, elected world’s best theme park in 2014. Thanks to the gentle climate of the Côte de Lumière, you will be able to enjoy plenty of leisure activities and facilities throughout the year. Enjoy the aquatic area with the indoor heated pool, the water slide and the paddling pool for the children. Take a seat in a deckchair on the terrace and savor the sun of the Côte de Lumière. Require space for your holidays! 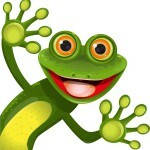 For caravan, tent or campers lovers, we offer big pitches, rare opportunity on the Atlantic coast. The campsite’s privileged location allows you to benefit from huge pitches for big families and space lovers. During your stay, enjoy the fishing pond and spend amazing family time for a picnic by the waterside. 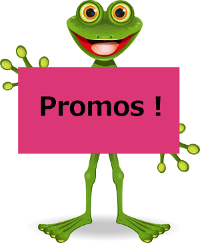 Book from now your pitch or mobile home in your campsite Le Jardin du Marais! The campsite is located on the city of Le Perrier attached to the community of little city Océan-Marais de Monts located in Saint-Jean-de-Monts. Camping in the shelter of the tumult of Saint-Jean-de-Monts be quiet after your day of visit and beach! Discover Vendee with its long secure sandy beaches, many activities and summer activities for the whole family. Camping from Vendée near to the sea at 4 km of Saint-Jean-de-Monts and 12 km of Saint Gilles Croix de Vie, 60 km South-West of Nantes and 450 km from Paris. 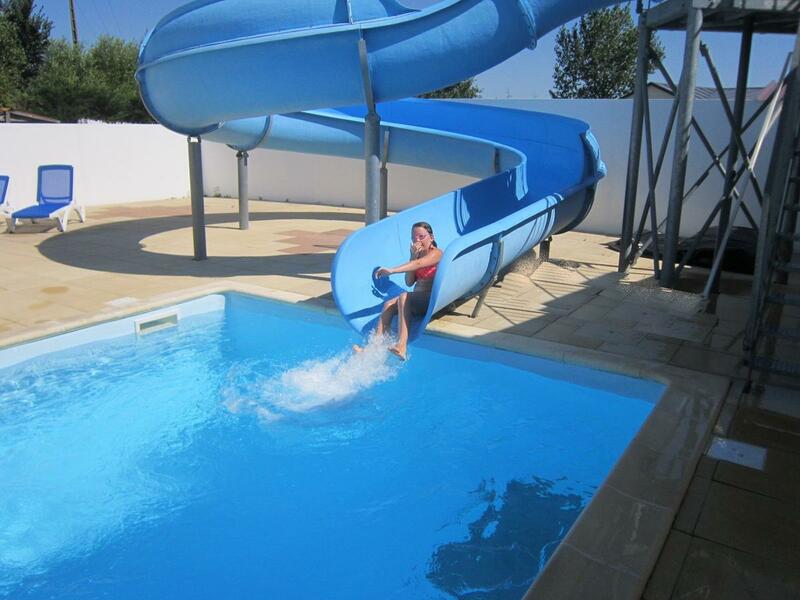 Your campsite has at your disposal an indoor heated pool, an outdoor paddling pool and a waterslide pool. 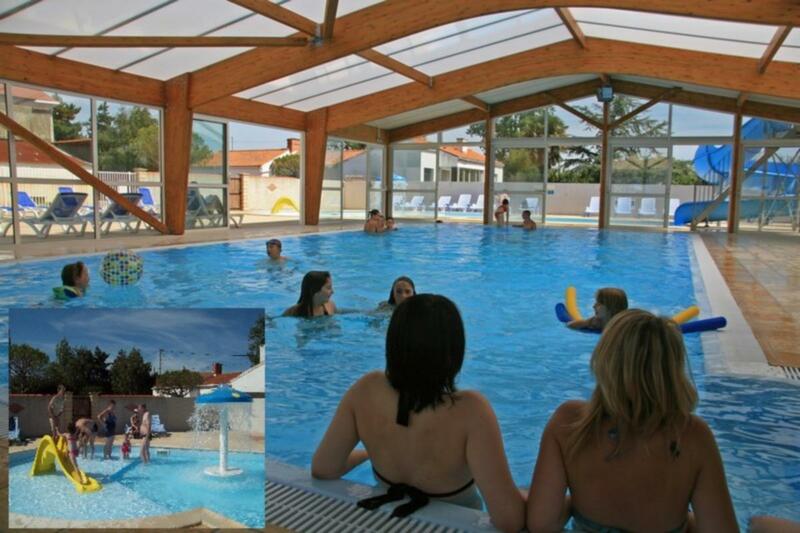 Enjoy the facilities in order to relax during your holidays in Vendée. A beautiful pond located in the campsite is waiting for fishing lovers. 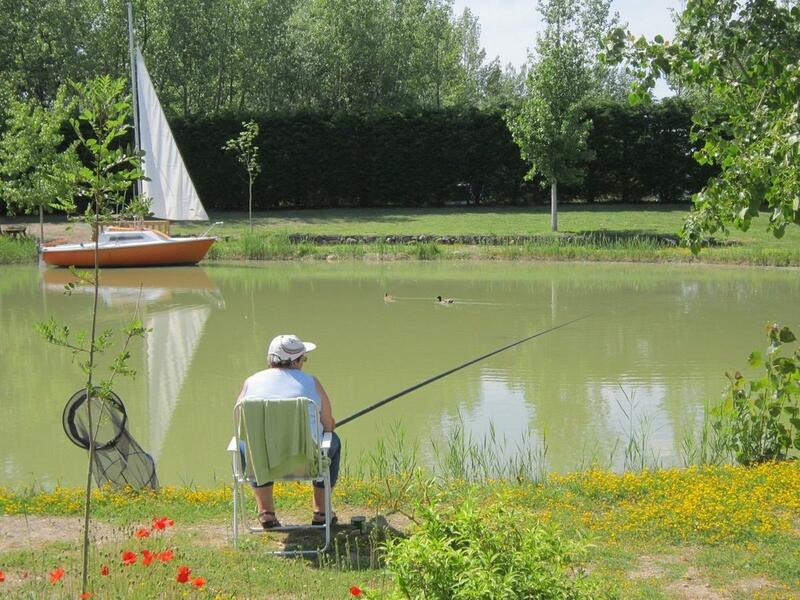 Whether you are experienced or novice, you will enjoy the calm of the countryside to relax while fishing during your holidays at the campsite. Don’t forget to bring your equipment! Your pool area with waterslide. The pool area is child friendly: the slide is not too high so the kids can enjoy it without taking risks. Book for a night or for the season a mobile home, a chalet, a huge equipped tent or a pitch. We offer a range of leisure accommodations to suit all budgets. Welcome in your campsite in Pays de Monts! WiFi, laundromat, bikes rental, off-season restaurant for groups, snack, bar with terrace, grocery. Enjoy an experience full of calm and serenity far away from your daily life on the Vendean coastline. Discover a light-bathed green and tree-filled campsite, close to the nature and the ocean. All comfort for family holidays in Vendée. Pleasent moments with your family close to the pound, fishing or feeding the ducks. Lots of activities on our playgrounds for kids! Take bike rides on many km bike paths on the Vendée seaside. To reconcile sports and holidays, your campsite suggest you a fully equipped fitness room!